How many can say that their home forms part of the skyline of the most desirable city in Southeast Asia? Skyline residents can. 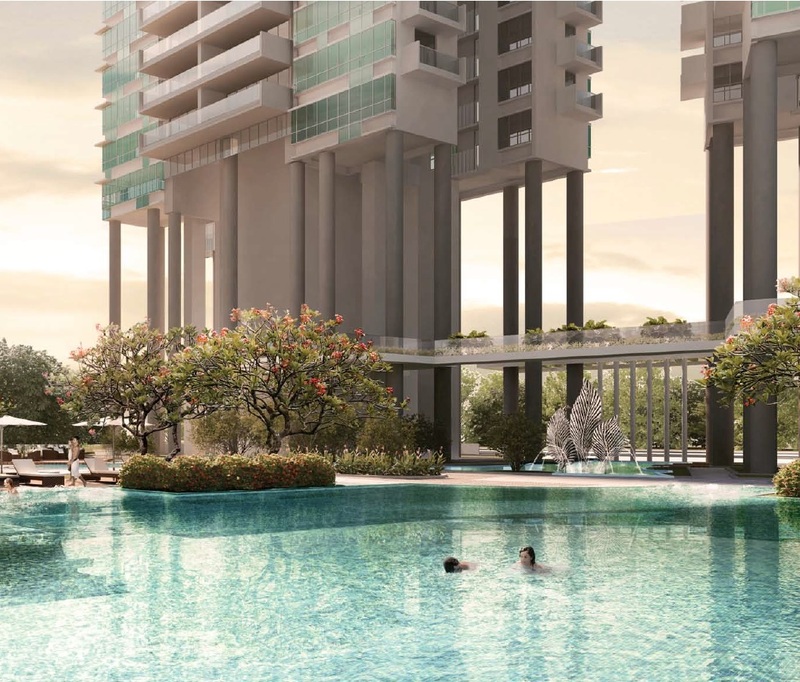 Situated in the tranquil estate of Telok Blangah, the magnificent 24-Storey residential development, Skyline Residences encompasses a picture perfect view of the sea, with an equal unparalleled sight of Keppel Golf Link and Labrador Park. 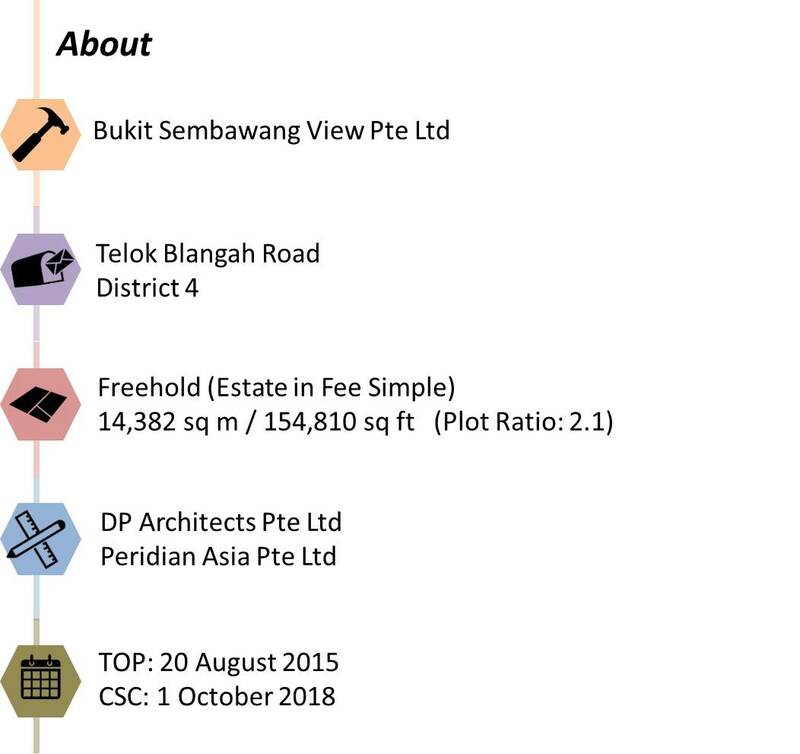 Just ASK investment tip: Find out how the government’s masterplan for Telok Blangah and the neighbouring Bukit Merah districts are set to raise valuations for properties in the vicinity of Skyline Residences. With VivoCity, HarbourFront Centre and Sentosa just a stone’s throw away from home, opportunities for short ocean getaways, beachside staycations and retail therapy abound; alternatively, nature-lovers might prefer to feast their eyes on the last few natural terrain features on the island: Mount Faber Park or visit the garden city’s Henderson Waves and Hort Park. 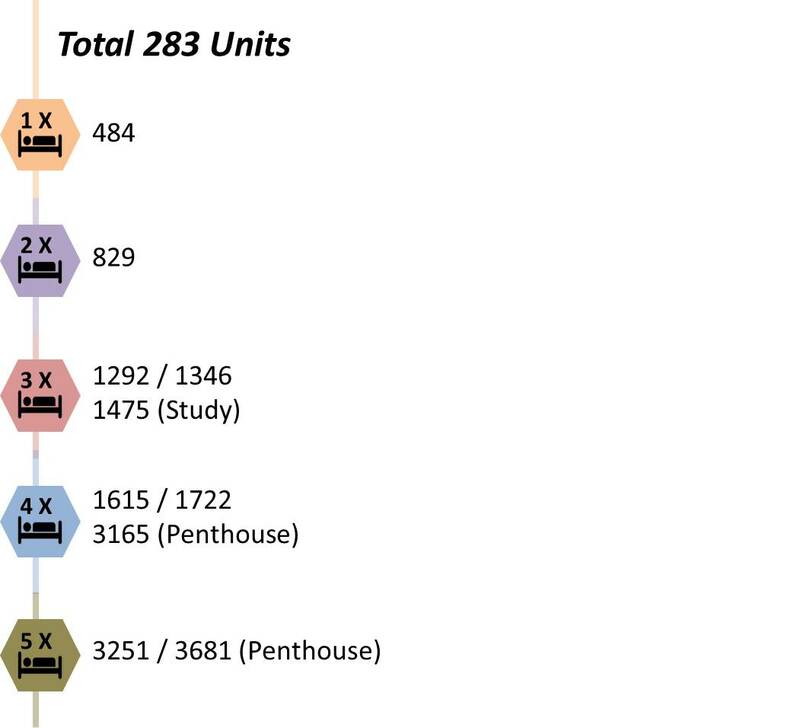 From dining and shopping, to education and entertainment, your home is located right in the heart of the action. 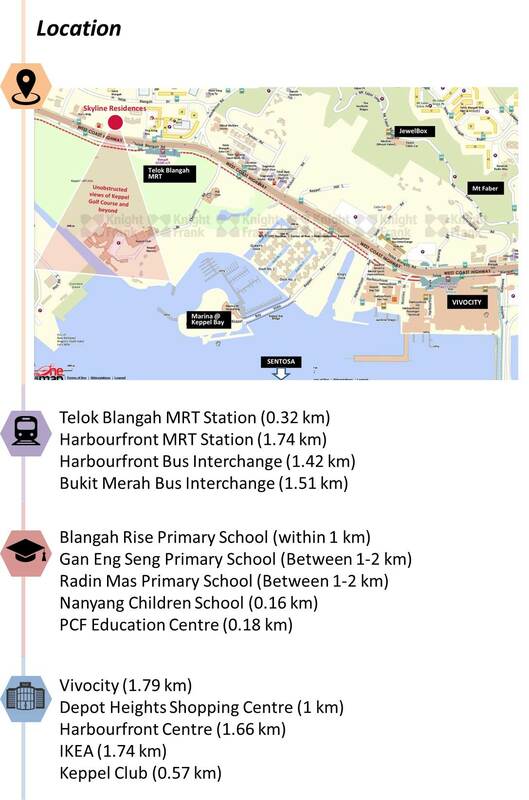 Choice schools in the vicinity mean there will be no long, tiring commutes for the young minds in your family. 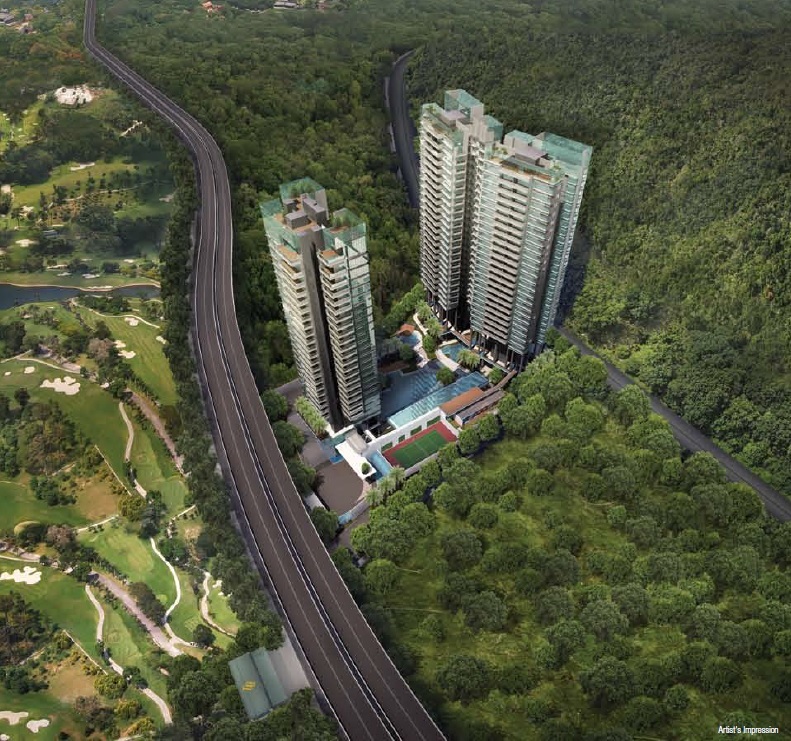 Meanwhile, those working in the city can avail themselves of easy transport options via the AYE, major roads and the Telok Blangah MRT station, which will be a five minute walk away. 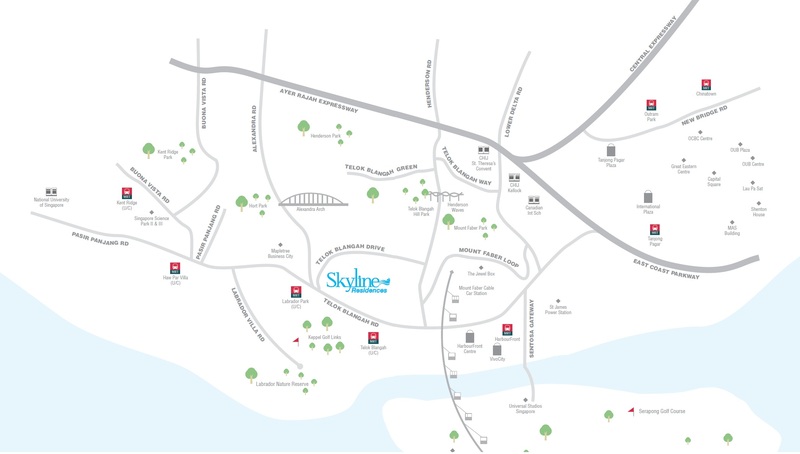 Within Skyline, you will be surrounded by numerous facilities awaiting your exploration. 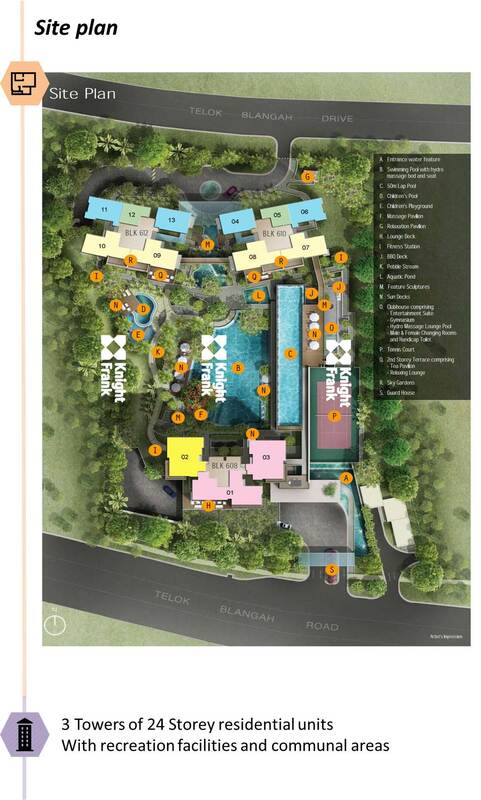 With an infinity edge lap pool overlooking the play pool and wading pools, lounge pool with Jacuzzi, children’s playground, BBQ deck and more, you’ll be spoilt for choice when it comes to choosing how you want to rest and relax. 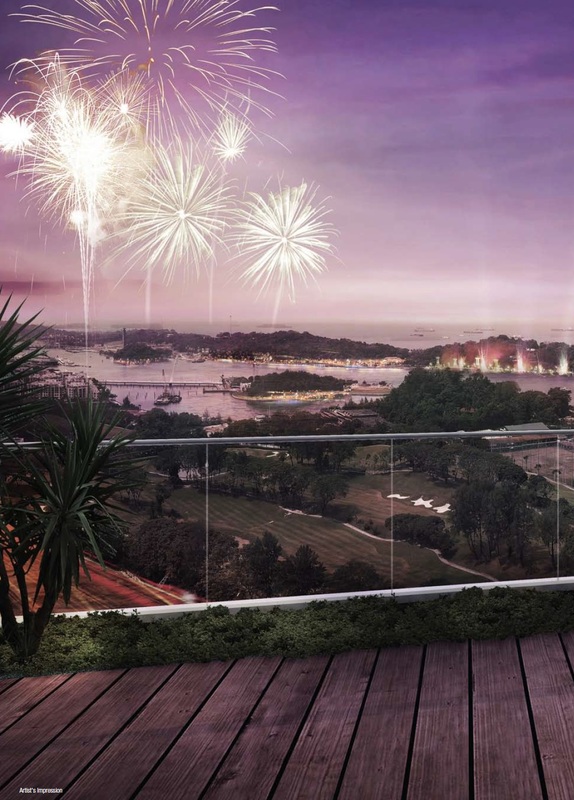 Whether its gorgeous sunsets each evening or the spectacular manmade fireworks that go off at Resorts World Sentosa. You will always be in for a treat every night. When you step into your home, it will be clear to your discerning eye that your home has been furnished with only the finest fittings and finishes- Stylishly appointed details will certainly be a talking point whenever you play host to your friends and relatives.